Radical Responsible Mothering: What is The Mothers Institute? In an effort to describe how The Mothers Institute began, I’d like to offer a quick look at a few of my personal interests and endeavors. I have always had two great passions in life - Family and Freedom. I had the good fortune of successfully melding those passions together during the years I raised and homeschooled my two sons. After my children headed off to college, the time was right for discovering new opportunities to honor these same passions. My husband and I chose to become involved in politics. During that time, our efforts focused primarily on spreading the message of individual freedom and personal responsibility through a variety of political campaigns, promotional events and local activities. In addition, I began looking for a viable approach to bring the ideas of freedom to the next generation. 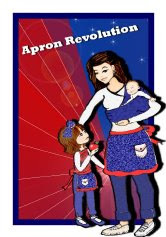 With that goal in mind, I initially organized a Mothers for Liberty Yahoo Group which served as a discussion board for mothers choosing to raise their children with a self reliant, independent, libertarian spirit! As like-minded mothers from across the United States discovered the new group, membership increased and soon included a blend of everything from political activists to apolitical moms who simply shared the philosophy of individual freedom and personal responsibility. 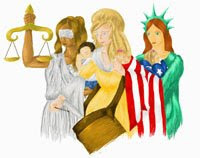 The age-old quote, "The hand that rocks the cradle is the hand that rules the world" by William Ross Wallace resonated with our Mothers for Liberty members as did the inspirational quote of anthropologist Margaret Mead, "Never doubt that a small group of thoughtful, committed citizens can change the world. Indeed, it’s the only thing that ever has." In January of 2007 after a short illness, my own mother passed away -- but before her death, she and I discussed the idea of an organization which could successfully promote an approach to mothering that would encourage the principles we women had already been discussing and practicing. My mother, who was also my mentor and friend, had been my business partner in prior endeavors and was a successful businesswoman along with my father for over sixty years. Knowing she had given her "thumbs up" to such a project assured me I was on solid ground. 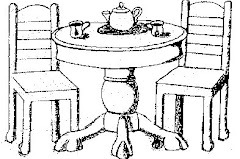 In March of 2007, hoping to network with more like-minded mothers throughout the country, I organized another online discussion group and its membership grew quickly - today reaching over 750 mothers and representing almost every state in the U.S. Again, some of the members are politically active while others simply live a philosophy that promotes peace, prosperity and freedom while enjoying a connection with other mothers who are seeking to practice similar life tenets. With the enthusiastic support of so many dedicated women, the time was finally right to organize The Mothers Institute along with our "boots on the ground" aspect of the organization - our Mothers for Liberty Meetup Groups. Together, we are practicing and sharing with others the message of Radical Responsible Mothering ... bringing the concept to the forefront of today’s parenting conversation. And as The Mothers Institute continues to grow - with the help of many talented members - it is wonderful to know that my own mother's influence is, and will continue to be, felt and appreciated by mothers of all ages and in all stages of this wonderful experience called motherhood. I didn't have the opportunity to be there at the beginning of it all. I do have the pleasure of being a part of it now. This is one of those questions that has a different answer for every person you would ask. As for me, this is my answer. The Mothers Institute represents the beginning of everything that is liberty pertaining to the individual. Here in our wonderful country and anywhere else in the world, people need liberty to sustain themselves. We can survive almost any situation. But, without liberty we will ultimately fail to sustain and continue as individuals. This is where the Mothers Institute comes into play. The Mothers Institute strives to reach out to each and every liberty, loving mother on the planet and let them know they are not alone. There are more mothers out there who believe that individuals can do things on their own without the intervention of the government. We know that we can feed, clothe, teach and provide any other needs our families may have with little or no help at all. It is our mission to spread this message to all the other mothers in the world. We hope to show them by our own actions that they too, can accomplish this. There is no better feeling than the self-satisfaction of seeing your children succeed and even excel the set average standard of learning due to your exclusive influence. We wish to convey to all mothers, new and old, that it is okay to teach your children to explore, experience and learn at your own pace. We wish to share with them the fact that it is okay to be curious and don't ever be afraid to question everything. This is what the Mothers Institute means to me. Thanks for adding your thoughts on The Mothers Institute Sharon!